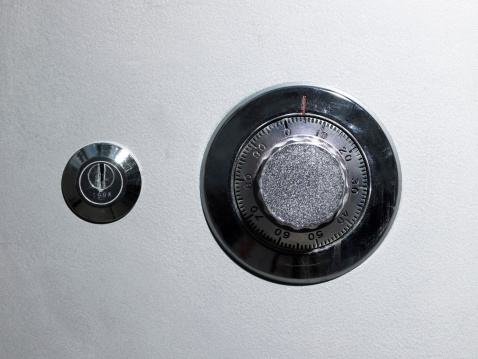 If you have important documents in your home, such as business contracts, confidential negotiation documents or a passport, or valuables such as gold or jewelry, you can protect them from theft or prying eyes by storing them in a locked safe. A safe only unlocks when you turn its dial to the correct combination, a number that you keep secret. One option for storage is a Gardall safe, which you can open in a few steps. 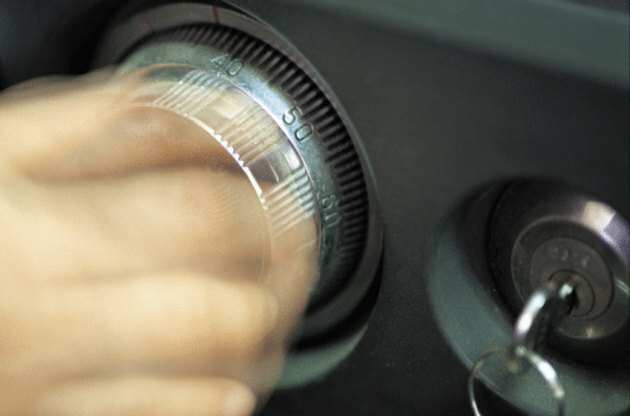 Turn the safe's combination dial counterclockwise until the fourth time you reach your combination's first number. Stop on this number. Turn the dial clockwise until the third time you reach your combination's second number. Turn the dial counterclockwise until the second time you reach your combination's third number. Turn the dial clockwise until the first time you reach your combination's fourth number. Pull on the door's handle to open the safe.